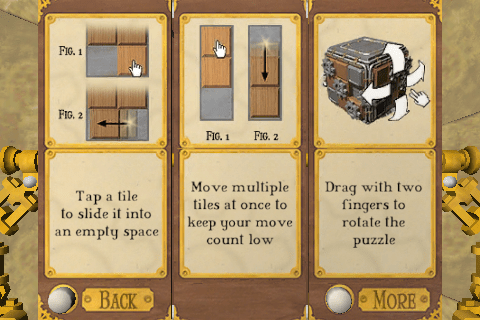 Cogs is an interesting looking 3D steampunk-style puzzle game coming next month from publisher Chillingo and developer Lazy 8 Studios, which challenges players to build machines by sliding tiles to correctly connect pipes or gears to get it working properly. 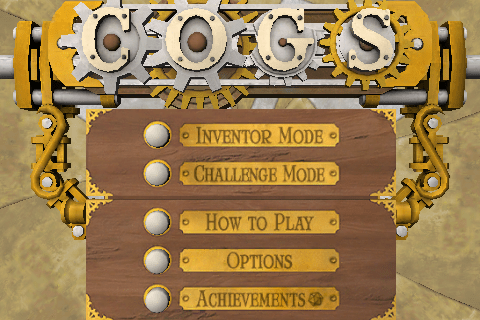 At release time, Cogs will contain 50 (serially unlockable) levels and 3 different game play modes (Inventor, Time Challenge and Move Challenge). Players must solve puzzles quickly if they want to unlock the next challenge. Lazy 8 Studios has carefully crafted each of these 50 levels to offer a unique experience and new challenges. Beyond the screenshots we’ve provided below, there are loads of additional screenshots available directly on Lazy 8 Studios’ website. 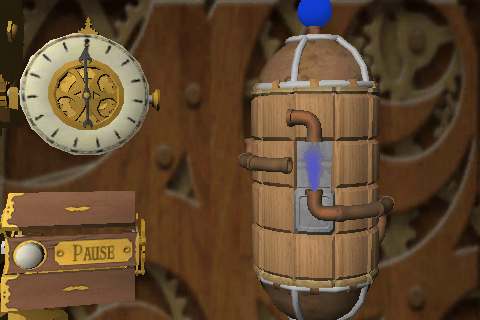 Inventor Mode: Starting with simple puzzles, players are introduced to the widgets that are used to build machines — gears, pipes, balloons, chimes, hammers, wheels, props, and more. 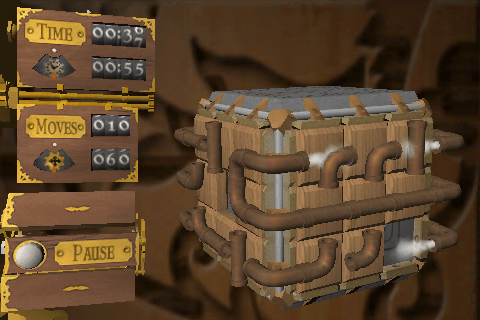 Time Challenge Mode: If you finish a puzzle in Inventor Mode, it will be unlocked here. This time, it will take fewer moves to reach a solution, but you only have 30 seconds to find it. Move Challenge Mode: Take your time and plan ahead. Every click counts when you only get ten moves to find a solution.